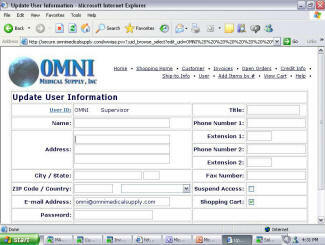 To update or add user information you must be classified as a supervisor. If you are not, and would like to be, please call customer service to be set up. Click “User” found on the top menu. Select “Add a new user” from the bottom. 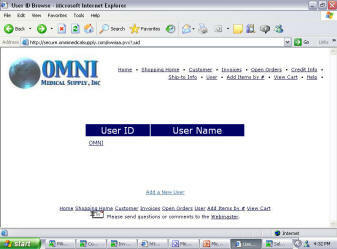 Enter all the requested information for that user and select the privileges you would like to give the user. Select the user name you wish to modify. After completing any changes you will be directed to an acknowledgement page.